This week we are featuring another of our amazing listings. It is Amanpuri Travellers Lodge. Not just a lodge but a Place of Rest. 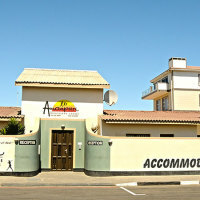 In Swakopmund, they offer accommodation to satisfy every traveller’s needs. 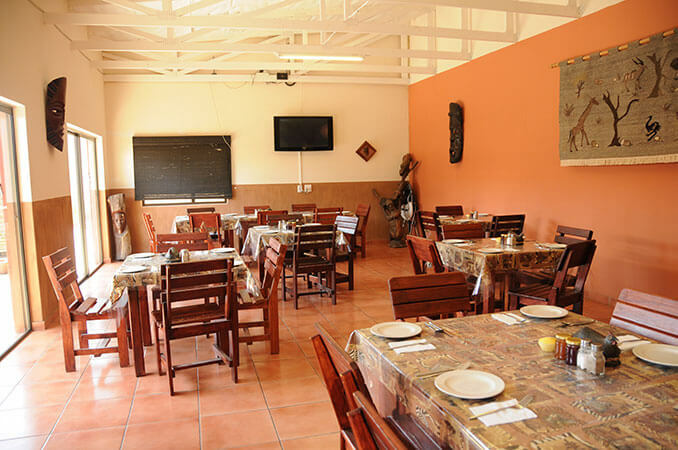 Whether travelling as part of a group, with your family or exploring Africa solo, Amanpuri Travellers Lodge, with its friendly, well trained staff and tranquil atmosphere, will ensure your stay in Swakop is a memorable one. 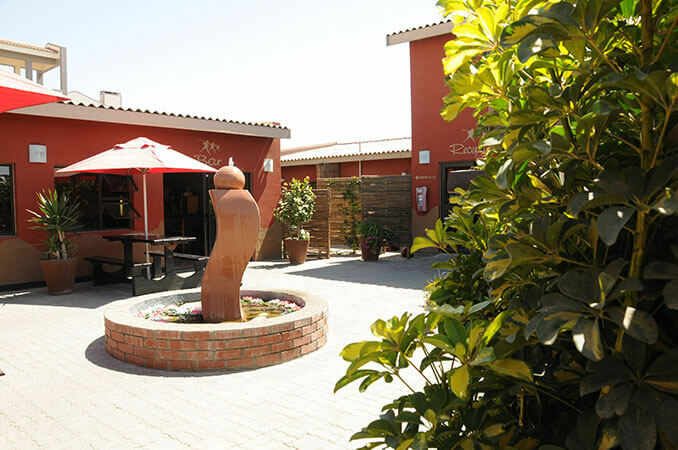 It is within walking distance from shops, restaurants, beaches, dunes, and other places of interest. 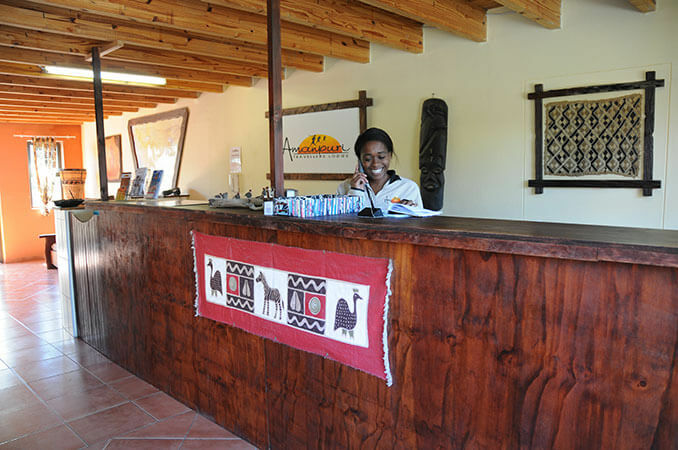 They also feature facilities such as 24-hour security, secure indoor parking, free internet and wifi, a bar at your service and friendly receptionist to book your activities will ensure your stay with us is a trouble free one. Their spacious and well maintained rooms, with the most comfortable beds in town, truly live up to the meaning of Amanpuri – Place Of Rest – and guarantees a well- rested state of mind to conquer your next adventure. Following a full English breakfast, you can explore our beautiful town with it’s fresh climate and friendly locals or you can relax in our courtyard, read a book, catch up on world news or just stay in bed. With a convenience store right next door and barbeque facilities you don’t have to move around much if you so choose. However, if you are the kind who struggles to sit still, the Amanpuri staff can book a wide range of activities, from extreme sports for the wild at heart to slow and relaxed day or half day trips for the not so wild. At Amanpuri, you get secure and ample indoor parking with 24-hour security. The beautiful courtyard will allow you the opportunity to meet other travellers, exchange stories and learn from others’ experiences. A Bar with tea/coffee available and television makes you feel at home and relaxed. Free wifi is available which simplifies your life, giving you the chance to catch up with loved one’s at home, sharing your photos and stories without having to look for connectivity elsewhere. Receptionists are available to book any activities available for the adrenaline junkies who cannot let a day go by without some action on the cards. They will arrange the bookings for you and will co-ordinate pick-ups and organisation of each activity at no extra charge.